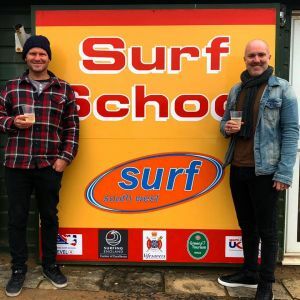 Wave Project’s north Devon surf school Surf South West has welcomed two new owners. John Ellis and Will Houston have worked at the school for several years and have now taken over from previous owner Darren Burrett, who has been instrumental in the north Devon project’s success. The Croyde-based school will continue to work with Wave Project north Devon to provide surf therapy sessions for local young people.